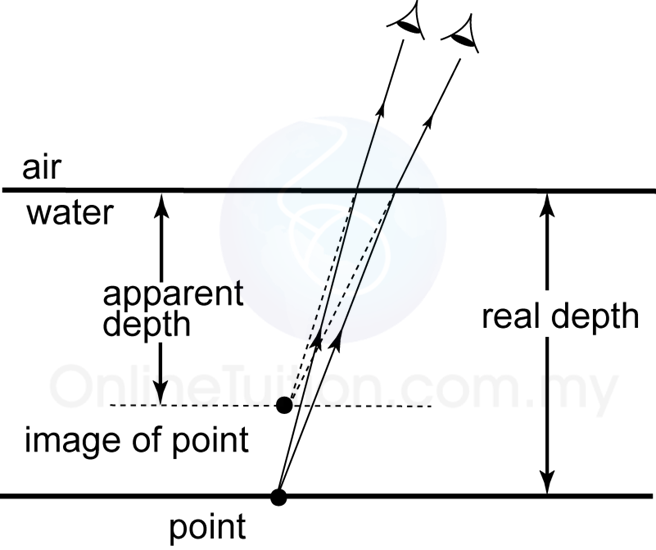 In SPM, when we say “refractive index”, what we mean is the absolute refractive index of a substance. The absolute refractive index of a substance is the refractive index where light ray travels from vacuum (or air) into the substance. The bending of light can give you a false impression of depth. 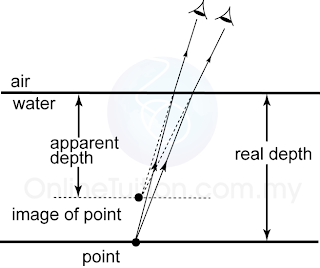 Figure to the left shows two rays of light leaving a point on the bottom of a swimming pool. The rays are refracted as they leave the water. To the observer, the rays seem to come from a higher position, and the bottom looks closer to the surface than it really is.